MOV’s on valves have a control display panel with switches to electronically operate the valve. 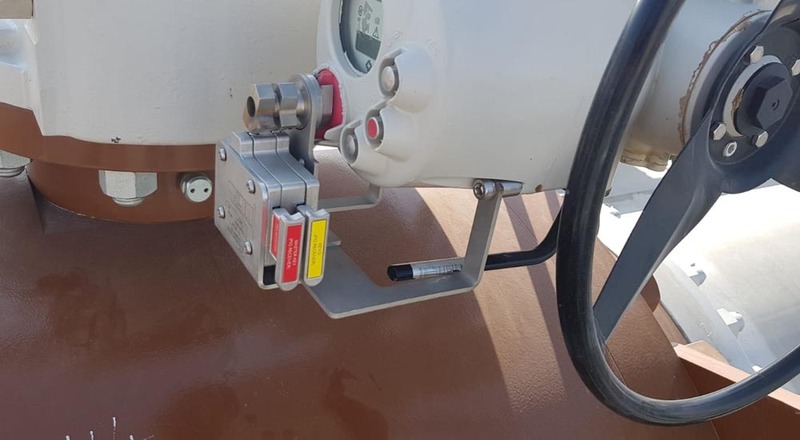 In order to enable the safe operation with MOV’s & ensure the process being followed as per the standard predefined sequence , interlocks are installed on switch. The valve can be operated locally by the operator by turning the switch manually or by control room with the remote access. The Interlocking Unit for MOV consists of following Interlocks. Actuator Switch interlock (for the switch). Interlock for gear box . Interlock for Manual Override function. Actuator switch interlock is mounted on the Switch Panel of the MOV. The Interlock will allow Switch to operate only when both the correct Keys are inside. Generally one key is trapped in the lock & other is recovered from the process & inserted in the switch interlock to start shifting of switch from off to ‘local/Remote’ position. Once the switch is set in the required position one key is retrieved from switch interlock & used for other in the process continuation . Depending on client requirement interlocks can also be mounted on Gear box & Manual override function . Detailed dimensions of MOV are needed to design interlock mounting arrangement.